The 35.2 metre fast sailing yacht Firefly, listed for sale by Thompson, Westwood & White, has received a €500,000 price reduction. 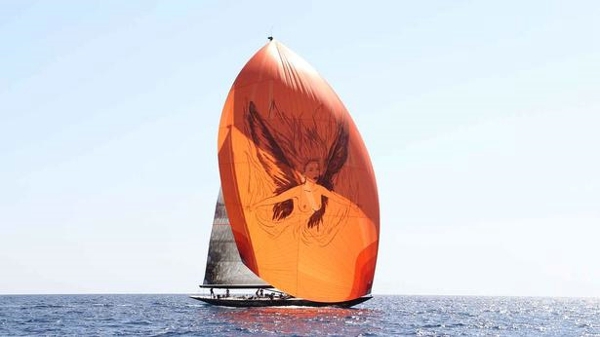 Built in aluminium by Dutch yard Claasen Jachtbouw to a design by Hoek Design, she was delivered in May 2011 as the first in a new F-class range of racing yachts. She went on to take first place at the 2014 Loro Piana Supyeracht Regatta and also placed first in her class at the Maxi Yacht Rolex Cup in the same year. The general layout is optimised for racing in the Spirit of Tradition class, with a large open cockpit to welcome crew during races, and a minimalist interior accommodating 12 persons with bunks, shower, toilet, galley and a navigation table. All her equipment is first class with a sail wardrobe by North Sails, deck hardware by Harken and a carbon mast and boom by Hall Spars. Notably, all systems aboard this yacht for sale are hydraulically controlled. Below, she resembles a modern racer with a 5.2 metre T-style fin fixed keel with a lead bulb (the class rules allow a lifting keel) and a carbon rudder. Already a seasoned performer at the world's premier sailing regattas, her interior could be transformed into a more comfortable cruiser/racer suitable for family use. Under power, a 250hp Steyr diesel engine gives her a cruising speed of ten knots. Firefly is now asking €2,450,000 with VAT paid.